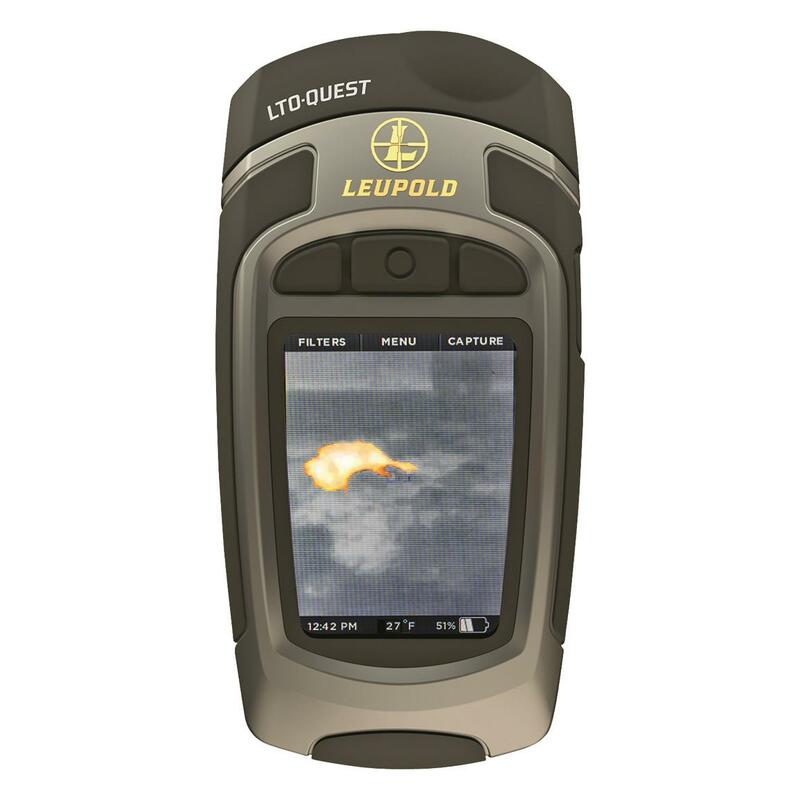 The Leupold LTO-QuestTM Thermal Imager, Camera and Flashlight is a pocket-sized thermal imaging advantage designed to help you be more effective in the field. 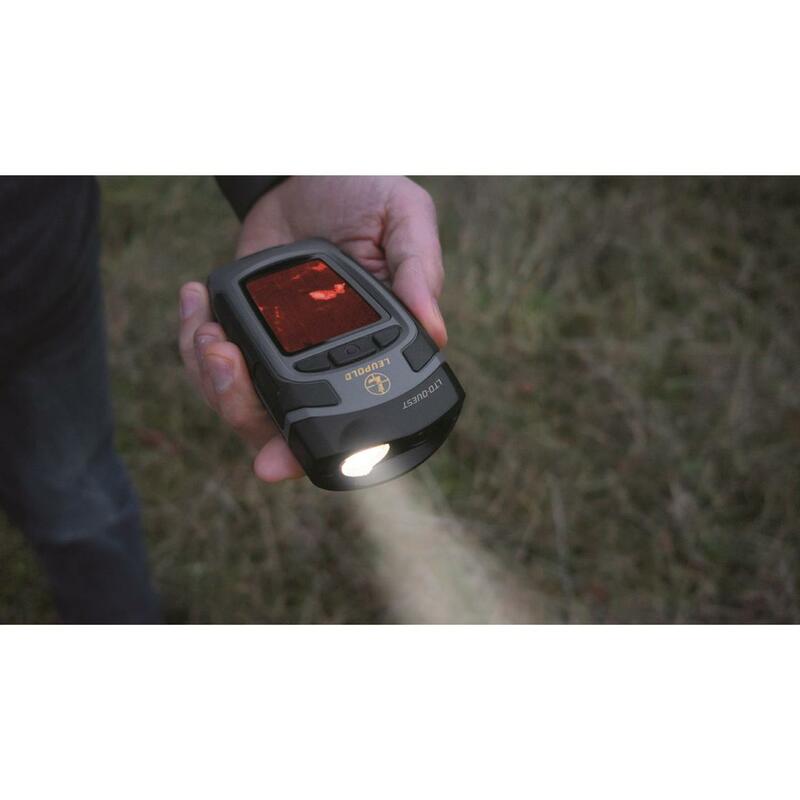 This powerful trio of tools starts with the pocket-sized thermal imaging viewer that will detect the heat signature of downed game at a maximum range of 300 yards. 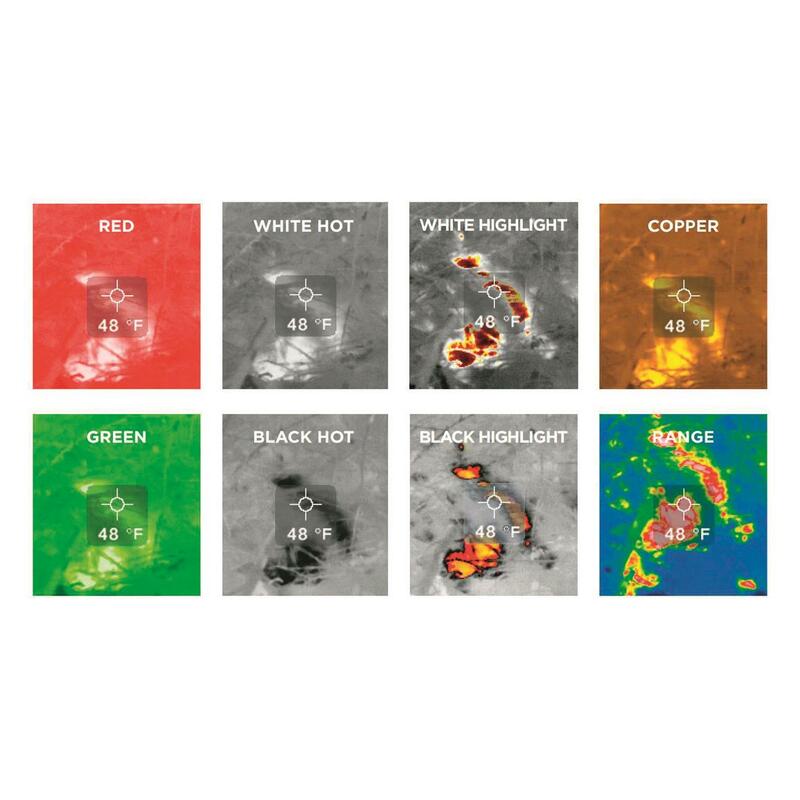 Customize the 2.4" LCD display with a choice of 8 color palettes. 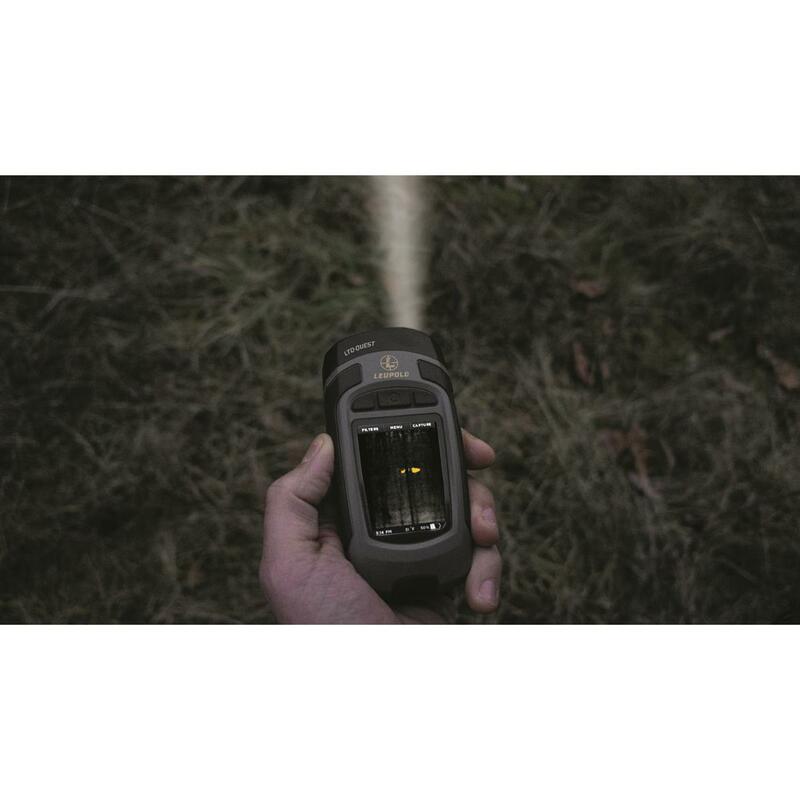 Then to easily navigate in low (or no) light situations, the LTO-Quest has an adjustable high/low-intensity flashlight with a maximum output of 300 lumens. 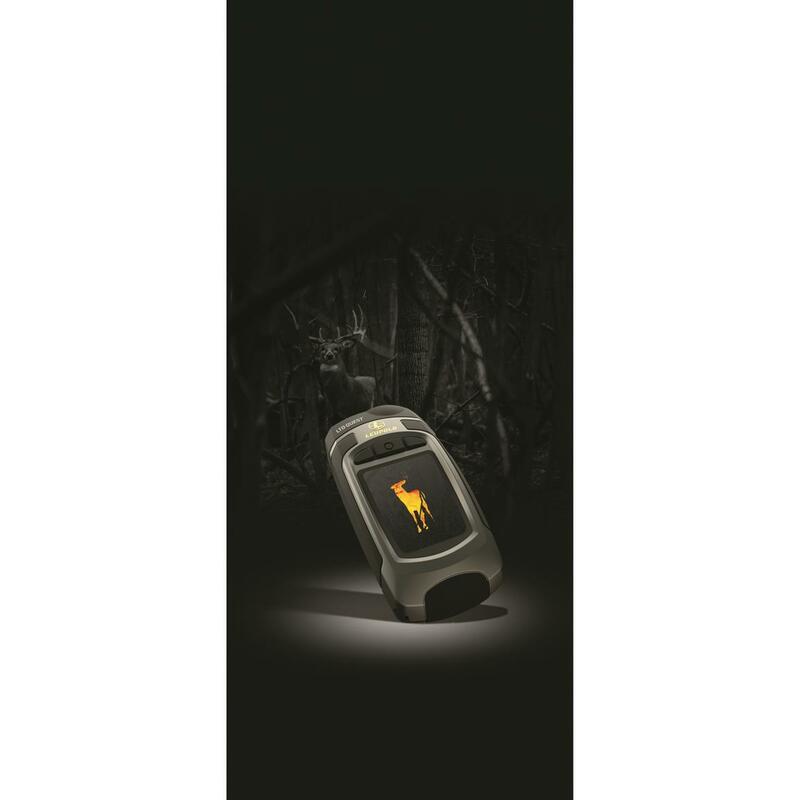 Finally, capture your pursuit with a built-in camera that will store up to 2,000 images on a removable micro USB card. 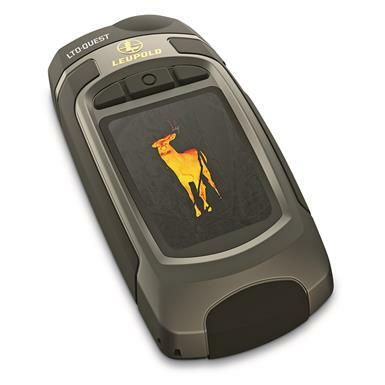 All of these features are easily controlled with an intuitive 3-button control pad and a rugged, rubberized body that fits nicely in your pocket or gear bag. Dimensions: 1.2" x 5" x 2.4" w.